A TRADE FAIR (trade show, trade exhibition, or expo) is an exhibition organized so that companies in a specific industry can showcase and demonstrate their latest products and services, meet with industry partners and customers, study activities of rivals, and examine recent market trends and opportunities. In contrast to consumer fairs, only some trade fairs are open to the public, while others can only be attended by company representatives (members of the trade, e.g. professionals) and members of the press, therefore trade shows are classified as either "public" or "trade only". A few fairs are hybrids of the two; one example is the Frankfurt Book Fair, which is trade only for its first three days and open to the general public on its final two days. They are held on a continuing basis in virtually all markets and normally attract companies from around the globe. For example, in the U.S., there are currently over 10,000 trade shows held every year, and several online directories have been established to help organizers, attendees, and marketers identify appropriate events. 166 Jewelry Trade Shows - EventsEye. Top 100 Gems & Jewelry Events - 10times. Watches & Jewellery Trade Shows - TradeFairDates. Antwerp Diamond Trade Fair - since 2010. "The Fair is a unique opportunity for jewellery manufacturers, designers and retailers to source their diamonds in the world's diamond capital!" 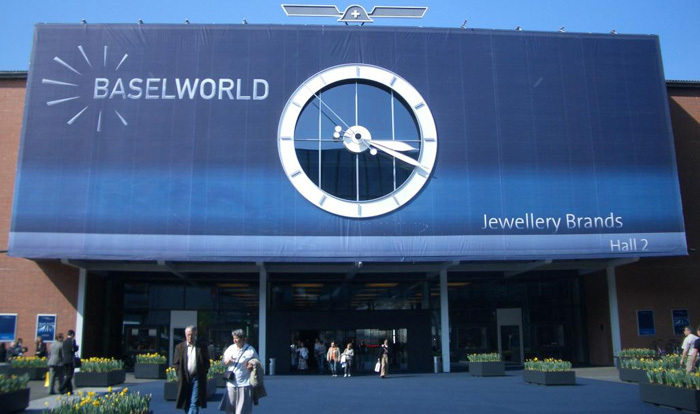 BASELWORLD - "The World Watch and Jewellery Show." The most important trade show of the international watch and jewellery industry, organized each spring in the city of Basel, Switzerland. BIENNALE DES ANTIQUAIRES - since 1962. Biannual antiques fair held at the Grand Palais in Paris, France. DUBAI INTERNATIONAL JEWELLERY WEEK - since 1995. The region’s largest showcase of jewellery, gold & precious metals, diamonds & colored stones. One of the most glamorous social events in the Dubai calendar. Hangzhou International Jewellery & Gem Fair - venue: the Zhejiang World Trade International Exhibition Center located near the Huanglong business district. HONG KONG INTERNATIONAL JEWELLERY SHOW - March, 4-8, 2015. Asia’s largest spring jewellery show will offer jewellery of all kinds as well as loose diamonds, pearls and gemstones from about 3,000 exhibitors at: Hong Kong Convention and Exhibition Centre. INDIA INTERNATIONAL JEWELLERY SHOW - venue: Bombay Exhibition Centre. Organizer: The Gem & Jewellery Export Promotion Council. Inhorgenta Munich - "Trade Show for Jewelry and Watches." International Jewellery London | IJL - "London's exclusive jewellery event where talented, cutting edge British and International designers are hand-selected." Istanbul JEWELLERY SHOW - offers an unique network and business opportunities to jewellery professionals from Eastern Europe to Near Asia, Russia to North Africa, From CIS countries to Middle East as a leading fair in jewellery industry. Jewellery Arabia -"The largest and most prestigious jewellery exhibition in the Middle East. Since its inception in 1992, it has provided international jewellery houses with unrivaled direct access to trade buyers and private collectors from throughout this important economic sector." Venue: Bahrain International Exhibition and Convention Centre. Masterpiece Fair London - since 2010. "The leading international cross-collecting Fair for art, antiques and design, has become a must-attend event at the heart of the capital’s busy summer art and auction season." 42nd Mideast Watch & Jewellery Show - since 1993. Biannual. The longest running and most popular watch and Jewellery event in the region, is an ideal channel for reaching out to highly affluent individuals. 4th-8th April, 2017. New York Art, Antique & Jewelry Show - features the collections of renowned international dealers, attracts tens of thousands of private collectors, museum curators, investors and interior designers. Singapore International Jewelry Expo - "There is no finer place to display your jewelry collection than at the dazzling Singapore International Jewelry Expo 2015." Venue: Marina Bay Sands. Vietnam Jewelry Show - "Vietnam's Premier International Jewelry & Watch Show."